What is IELTS, and who needs to take this test? For many international students interested in studying at a university where English is the language of instruction, they will be required to pass this test with a specific band. Find out more in this blog post. Many of the current, past and prospective students at the UCT English Language Centre are interested in pursuing their undergraduate or postgraduate studies at a university where English is the medium of instruction. For this, they are often told they need to sit either one of two tests: the Testing of English as a Foreign Language (TOEFL) or the International English Language Testing System, or IELTS. In order for universities to assess whether or not a potential student will manage to cope in the English speaking environment (lectures, courses, essays, exams, dissertations, etc. ), they rely on external international testing systems. Two of the most popular exams used are the TOEFL (Testing of English as a Foreign language) and is a trademark of the “Educational Testing Service (ETS)”. ETS is “a private non-profit organization, which designs and administers the tests.” The other extremely popular test is the IELTS. 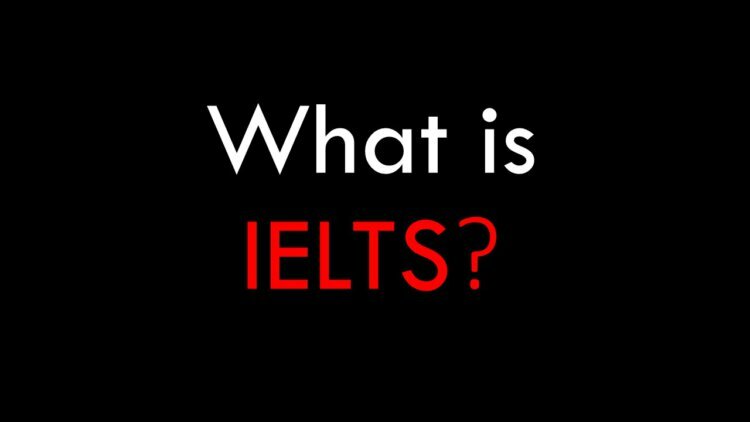 The International English Language Testing System, or IELTS, is a standardised test and jointly managed by the “British Council, IDP: IELTS Australia and Cambridge English Language Assessment, and was established in 1989”. Different academic institutions around the world will set their own minimum band score that students will be required to achieve before being accepted to study at their institution. In order for international students to study at the University of Cape Town, they will need a recent minimum score of band 7. In addition, no individual element of the test can have a score of lower than a band 6. There are two types of IELTS test: IELTS Academic (for those wanting to study in English at a university or academic institution) and the IELTS General Training (for people wanting to go to an English speaking country and complete their secondary schooling, for work experience or training, etc.). The tests cover the four skills in English (Listening, Reading, Writing and Speaking). Each skill will receive a band (1 -9) which contributes to your overall score of the test once you have completed everything. The listening and speaking components are the same for both the IELTS Academic and IELTS General Training tests, but the actual subject matter will be different for the reading and writing elements of the two exams. Remember that they have two different functions and are testing for different things! Listening, reading and writing are all done on the same day of testing, but the speaking exam could be anytime a week before or after the other parts. Essentially, this means your test is broken down in two parts and can take place on two totally different days. The test centre closest to you will advise you. If you complete your IELTS exam training at the UCT English Language Centre and wish to do the test in Cape Town, then you will take the test at The Upper Eastside Hotel in Woodstock. You can visit the britishcouncil.org website to view the upcoming test dates and apply. Currently, the test costs about R2 600 (please note that this is in South African Rands, and if you wish to check what this would be in your currency, you can check here). You will probably find that the test and exam preparation courses are cheaper in South Africa than your own country or another English speaking country. The strong international currencies against the Rand make South Africa, or Cape Town in particular, an exceptionally good value-for-money destination to learn English and complete an English course. If you are interested in studying at an English speaking university anywhere in the world, you can join the UCT English Language Centre IELTS exam preparation course taught by highly qualified and experienced teachers. Upon completion of your course, you can pay for and sit the IELTS test in Cape Town, and depending on your results, apply to study wherever you would like. Join international students like yourself at the University of Cape Town’s English Centre and enjoy all the beauty Cape Town has to offer while you work hard for your IELTS exam.